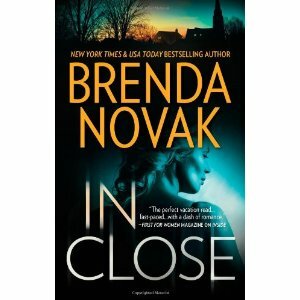 The romance in In Close is as passionate and intense as the suspense. You get the impression Claire and Isaac could only fulfill each other. Their love affair was interrupted by Isaac’s inability to believe a woman could love him, and now that Claire is grieving for her husband their love for each other is a tinderbox. Brenda Novak has a brilliant way of revealing information when you least expect it. While Claire’s big question throughout the book is “Where is my mother?”, the reader discovers her mother’s whereabouts around half way through the story. That bit of information heightens the suspense, prompting the reader to realize that there are bigger questions to ask. I thoroughly enjoyed In Close and struggled to force myself to put it down. Highly recommend. Ok you convinced me. I have to check out this series! So much suspense and head scratching, can’t wait!! Hope you like it as much as I did, Lexi!